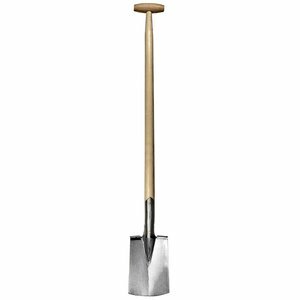 The Sneeboer border spade brings pedigree and reputation to the garden in equal amounts - and whether you're turning over an allotment, vegetable patch or decorative border, this spade really delivers. Forged by hand to a design created to suit the Dutch market of gardeners. The spade comes with a solid ash handle. With D-handle.